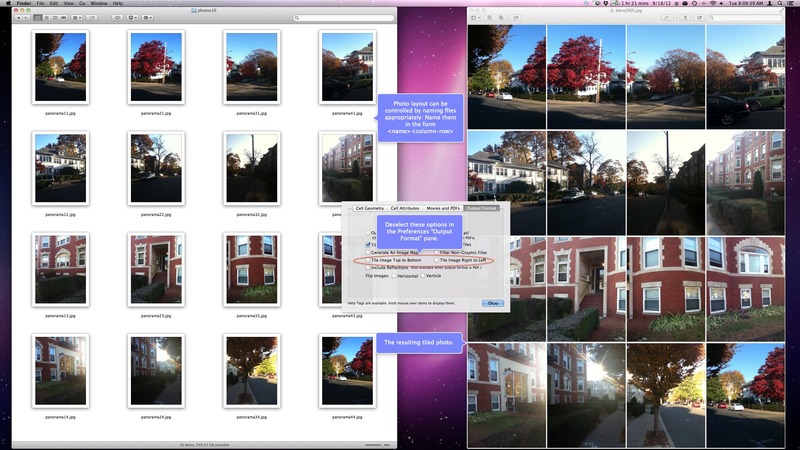 PhotoTiles | Create Images of Tiled Media. Create Images of Tiled Media. PhotoTiles creates a tiled photo of a folder of images, web page graphics, movie frames or PDF files pages of various dimensions and sizes. 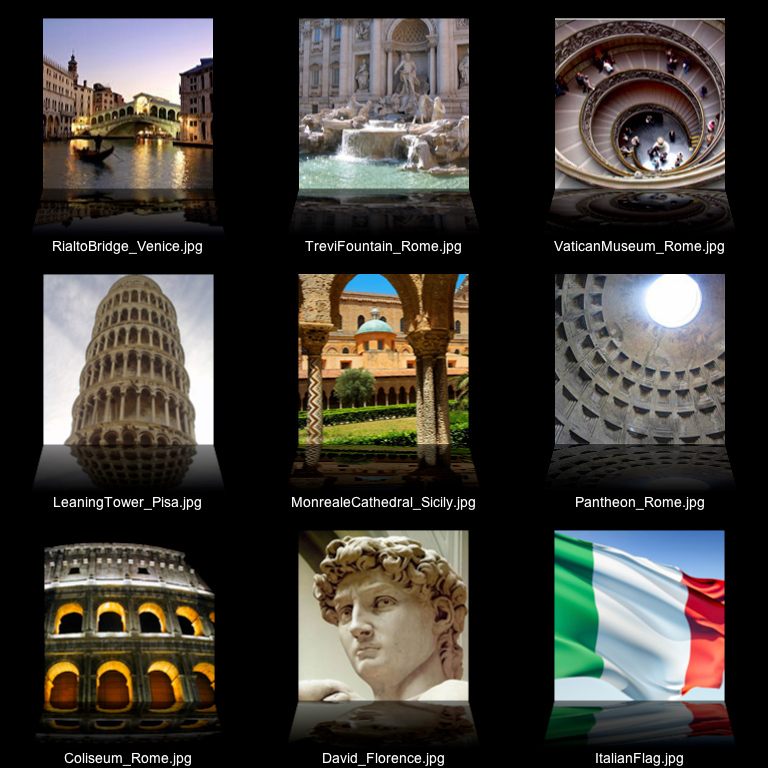 When tiling images in a folder the program can also generate an HTML image map file. When tiling a PDF you have the option of creating tiles of images or as true PDF pages, one per "cell," in a single page PDF. After the program is configured by specifying a few options, simply drag a folder of images (or movie file) onto the application, or its main window. Or select "PhotoTile Browser URL" to tile the images on the current web page (supported browsers includes Safar and Chrome, among other popular browsers). You can specify the photo layout by naming the files appropriately, namely as as shown below (click on the image to view it closer).